#1 Earlier in the week, Kathy made this announcement that I was being added as a full Design Team Member at Scrap Our Stash Challenge! (I was one of the Guest Designers for February) The March Challenge is to dust off that thing you have been ignoring, something you've let go by the wayside. It could be a tool, a technique, a supply, a project. Whatever it is, dust it off and use it! You can find the entry details here and daily posts for plenty of inspiration! #2 The first challenge of the month is up at Journaling Junkie. It's a journaling prompt I submitted as a Design Team Member, based on this layout. You can see the exact challenge and some of the other Design Team layouts here. #3 Earlier in the week, I posted this layout for the monthly challenge at Scrapbookers Anonymous. Time to dig out the flowers for this one! There, all caught up! All of these challenges are inspiring in themselves, but you could easily combine any of them with a sketch or color challenge and make multiple submissions. Great for us multi-taskers! Have a wonderful weekend! Sounds like you've got a lot to keep you busy and inspired! I love all the green today, makes me think of St Patrick's Day! Sounds like you are keeping busy! Lots of great inspiration too :) Love the deco edge on your layout! Congrats on the full time Design Team member at Scrap Our Stash- love the colors and pp on your the right path layout. so glad you will be joining us over at scrap our stash! Go Sue, go! Looks like you have a lot of fun ahead of you. Congrats! love the clean look of this layout! Congrats, Sue, on the DT position! Congrats on the new design team member spot! 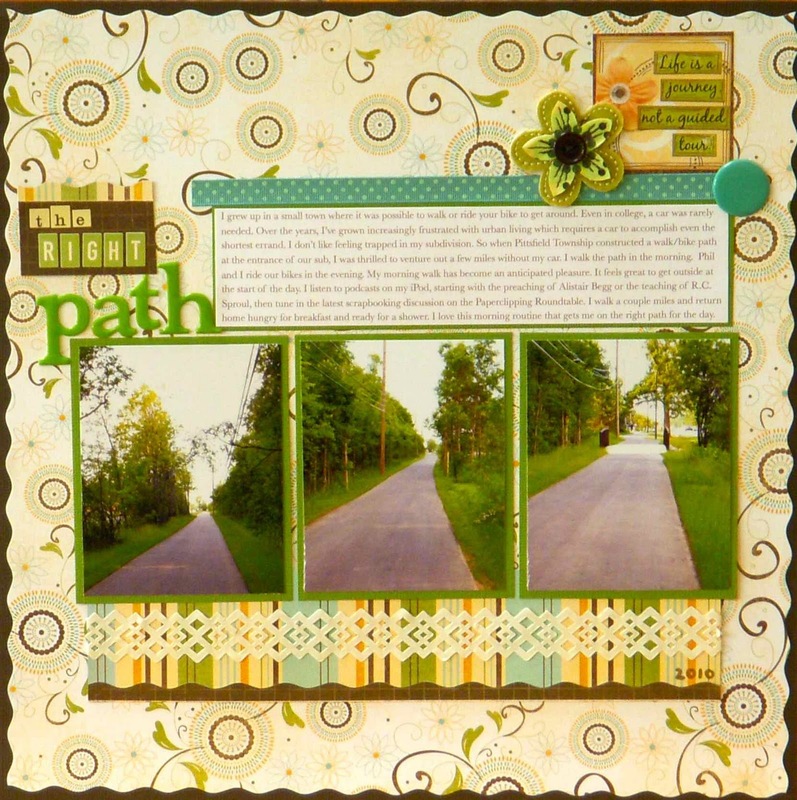 I completed a layout for the Scrapbooker's Anonymous challenge today and will be posting in the next day or two. Thanks for the reminder - I love using flowers! Congrats on your new DT position at Scrap your Stash! Lovely layout! Love the colors and the design! Have a wonderful weekend too! I took a photo at our camp/cottage of a fork in the road and was thinking of a similar idea for a layout. Congrats on the DT post !!! Love the LO and such great photo's.